The Elder War Memorial in Ami. I startled myself a week or two ago by realizing that I had let my 10 year anniversary of becoming certified as a capsuleer pass without commemoration, celebration, or, indeed, note. Something that had, at the time, seemed so momentous, so important, that I could never forget it had become something so commonplace that I barely remember my life before becoming a pilot. I was generally good at making note of the event over the years, but it had slipped my mind this year. I guess it was just a sign that even the most significant changes in life eventually can become mundane, even when your life can end over and over and over again. Still, it was hard to believe that almost 1/3 of my life had been spent as an immortal capsuleer. I was also surprised to discover that it has been nearly 10 years since the brief Elder War. Looking back, I didn’t realize that the War had occurred so soon after gaining my pilot’s license. 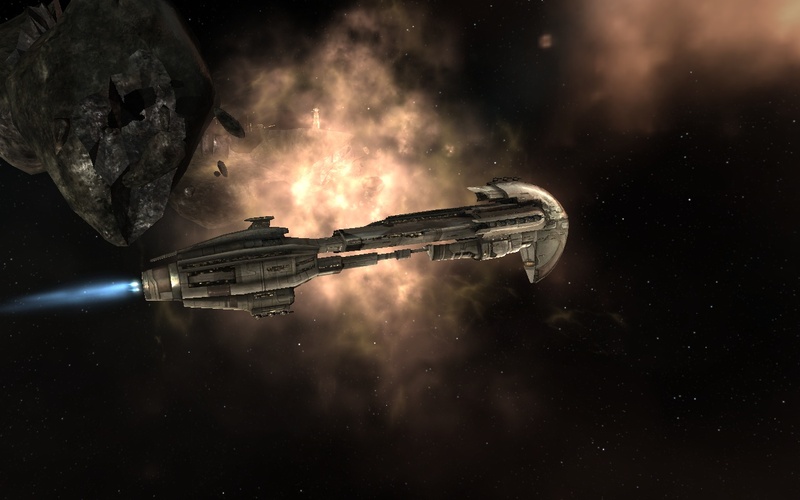 It consisted of a very brief, but intense, invasion of the Amarr Empire by renegade factions of the Minmatar Tribes. After the discovery of the survival of the Seventh Tribe of Matar, the Starkmanir, the Minmatar Elders (who had long faded into legend for most of the Cluster) returned with a vengeance, leading a massive rescue operation using materiel and ships built up secretly for centuries. The Elders crippled CONCORD before invading the Empire, and was only stopped by the return of Jamyl Sarum (who should have been dead but apparently got better) and the use of a superweapon whose origin and eventual disposition remain a mystery even to this day. Of course, this is a very, painfully brief synopsis of the War, but it suffices for our purposes here. The Memorial in Nishah, with the now-repaired station in the distance. Although the entire war lasted for under 24 hours, the War had vast implications for the Cluster. It signaled the return of the Minmatar Elders, the discovery of the survival of the Starkmanir Tribe, the fallibility of CONCORD (a lesson I much took to heart as time went on), and the return of Jamyl Sarum. The Empire’s response to the return of Jamyl always fascinated me; it was clear that she had returned using some variation of capsuleer cloning technology, yet the Doctrine of the Empire meant they could never acknowledge it. And the fact that she had essentially single-handedly stopped the Minmatar invasion and preserve much of the Empire’s status quo meant that when she was proclaimed Empress, the Empire’s theologians could do little more than shrug. After the disastrous reign of Chamberlain Karsoth, Jamyl brought a much-needed sense of stability to the Empire, even if Jamyl eventually brought her own problems. And the memorial in Andrub. In an apparent bid to tie her reign to Jamyl’s, Empress Catiz recently commissioned the creation of 4 memorials to some of the battles from the Elder War. These 4 memorials were erected in addition to the two battlegrounds in Jarizza and Kor-Azor that I have chronicled over the years. 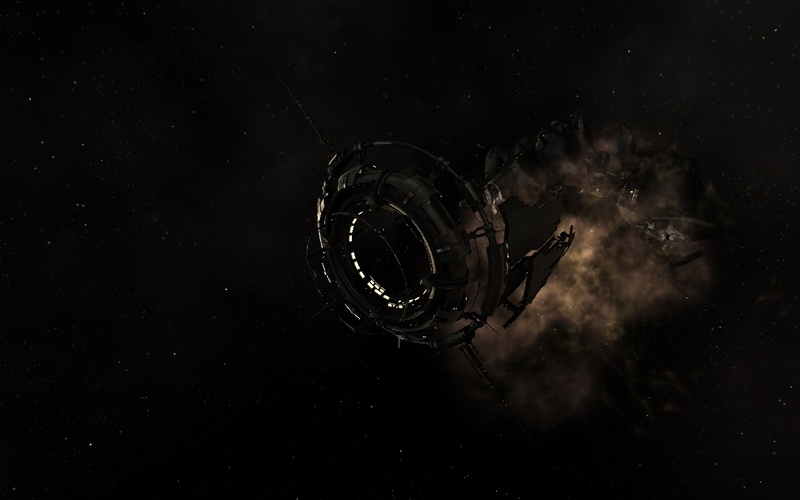 They were constructed off of stations in Ami, Andrub, Kor-Azor Prime, and Nishah that suffered damage during the War. It took them nearly a decade, but they finally repaired the damage to those stations (I would make a snide comment about wanting to keep the damage for the sake of arousing public sympathy, but CONCORD still hasn’t repaired its own heavily-damaged headquarters and it was damaged on the same day). This monument marks the honor conferred by the Empress of Holy Amarr on the countless heroes of the Empire who sacrificed their lives to repel the Minmatar Elder Invasion of YC110. As imperial construction crews completed repaires of the nearby stations damaged in the attack, the monument was placed by order of Her Most Sublime and Imperial Majesty Catiz I, First Apostle of the True Faith and Sovereign Defender of the Imperial Rite. A close-up view of the Memorial in Kor-Azor Prime. The monument appears to be similar in design to the Project Discovery monument erected in Lanngisi, which was itself based on an apparent Upwell design. However, rather than featuring a large hologram of the Project Discovery symbol, these monuments feature an ornate Imperial Seal. Despite being placed on the same day as the Project Discovery monument, the Elder War memorials do not appear to be susceptible to entosis effects like the Project Discovery memorial. However, like the Project Discovery memorial, the Elder War memorials are bustling hubs, with traffic coming and going around the memorials as visitors flock to see the museums and the views. Professor Science flying near the monument in Nishah. I spent time at each of the memorials, but given that they were all pretty similar in design, I didn’t linger at any. Still, I appreciated the reminder of what the Cluster was like back when I first gained my license. 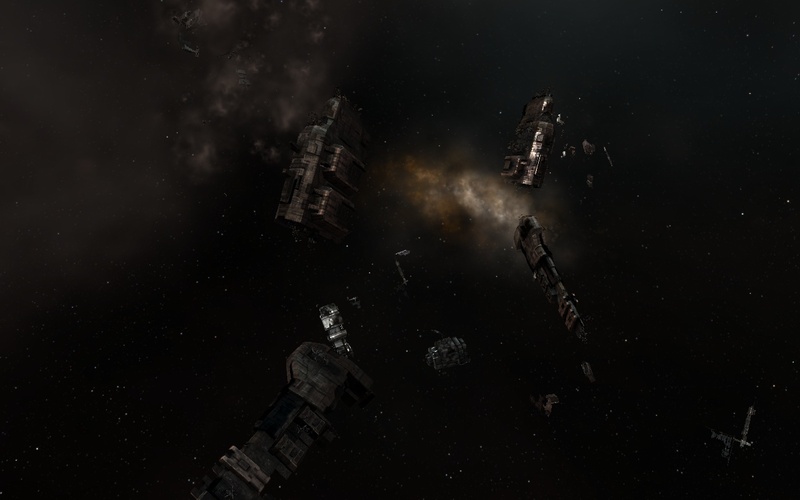 It’s remarkable how many things have changed since then: Jamyl is long gone, capsuleer alliances have risen and fallen, the Drifters have appeared. But still, so many things have tayed the same. My sense of wonder and wanderlust, the graceful ship designs, and the friends who make this lifestyle well worth it. 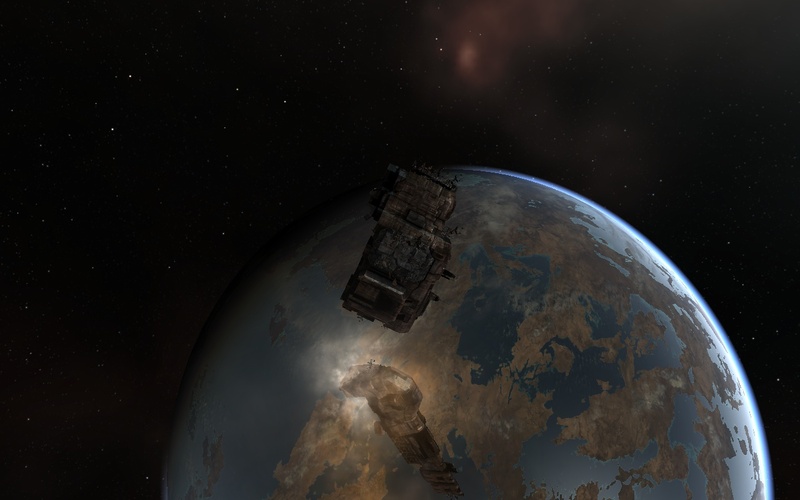 It may have been 10 years since I first started flying in New Eden, but somehow, it feels like it was only yesterday. A happy and safe YC120 to you all. Security Rating: 0.4, 0.7, 0.9, and 0.6, respectively. Potential Hazards: Ami and Andrub are located in low security space. Pirates and gate camps should be expected, and caution is advised. A cov ops or other cloaking ship is recommended. As for Kor-Azor Prime and Nishah, if you’re below a -2.5 or -4, respectively, in security status, or -5 standing with the Amarr, you’ll have to deal with some rather unpleasant policemen. I've never seen such a major active colony so close to a gate. Align, warp, jump. Align, warp, jump. Align, warp, jump. It was incredibly easy to get into a sort of trance while traveling over long stretches of the Cluster. And so I almost didn’t notice when Professor Science‘s sensors picked up something while traveling through Imih (while Scientia was useful for null sec travel, the Buzzard’s sheer speed made it more practical to take out unless I knew I would be heading into null sec space). Indeed, I had to send Aura the cancel command a few times before I saw that the ship was indeed coming to a stop. With that out of the way, I had to go to look for a moment at what had drawn my attention in the first place. Of course, it was sitting right in front of me. The Buzzard, well, buzzes the asteroid mining colony. A mere 30 kilometers from the Liparer gate sat a small but obviously thriving asteroid colony. It was rare to see something this close to a gate. For (what I assumed were) security reasons, most space-based colonies chose to sit a bit deeper in the system, presumably to have at least some warning time if hostile forces invaded. Obviously, though, this colony chose to not to listen to that particular piece of conventional wisdom. And perhaps they were on to something. Not only were CONCORD vessels in site, but so were Amarr Navy vessels. Indeed, in a rare show of strength from an empire navy, a naval battleship was even orbiting the colony. The colony itself was fairly small, at least from the surface. As with most civilian colonies, it was built inside a carved out asteroid. Only a few, small buildings protruded from the surface of the asteroid, but the Professor’s sensors suggested a larger construct beneath the surface. Even so, the twinkling lights of the surface buildings seemed inviting enough that I took the Professor in for a close pass of the colony. A number of structures could be seen on the surface. While it was nice seeing a colony that I wasn’t sent on a mission to destroy or protect for once, I eventually did have to get going. I was only halfway through my route, and time was money. With a somewhat heavy heart, I once again… aligned, warped, and jumped. Potential Hazards: If you’re below a -4 in security status, or -5 standing with the Amarr, you’ll have to deal with some rather unpleasant policemen. 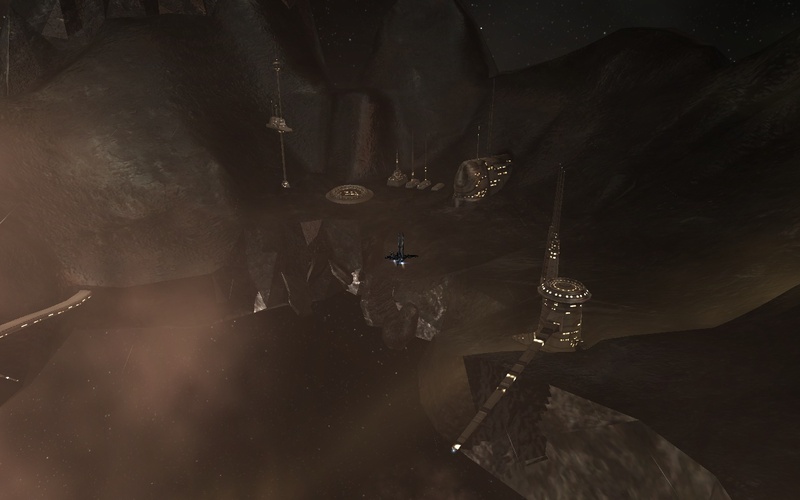 The Kor-Azor worlds were the site of some of the fiercest fighting during the Minmatar invasion of Amarrian space. Tens of thousands of Minmatar dropships ferrying troops and armor descended onto Amarrian worlds, stations, and colonies, seizing slaves and returning them to the fleets of transports waiting above. 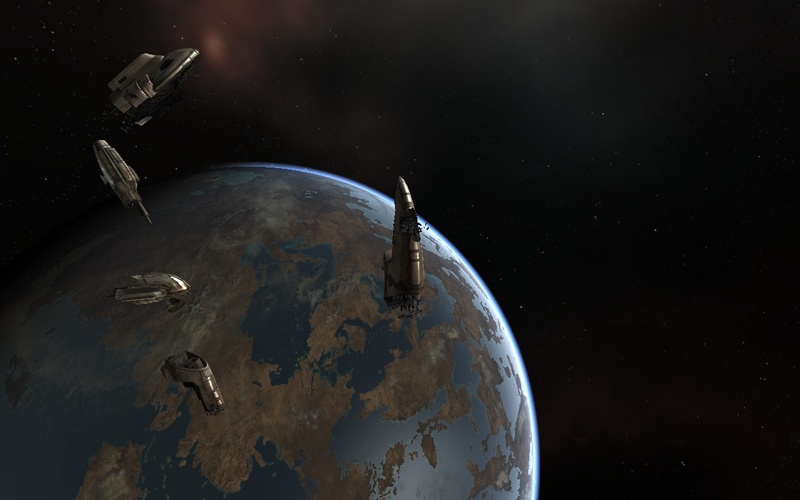 Though many of these brave soldiers died during the historic assault, they did so in the name of freedom, forever dispelling the notion that the Amarr Empire is impervious to harm. It made me wish I had been around to see it, but like most pod pilots, I was stuck in station as CONCORD locked down most of the stations in response to the Elder attack in Yulai (not that I would have wanted to be caught in the cross fire of fleets this size anyway). So all I had left were the ruins. I maneuvered the Professor in and out of the wrecks, the same solemnity falling on me as it did in Sarum Prime. There was something almost peaceful about the area. 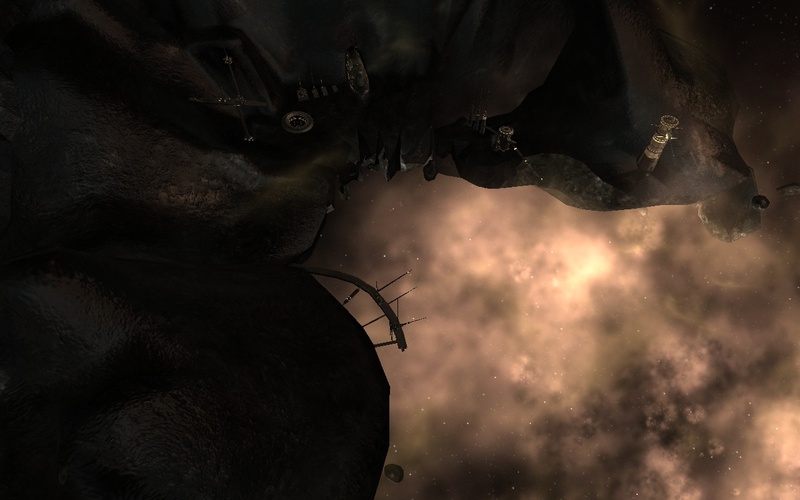 Even pod ships steered clear, meaning that even in a dense system like Kor-Azor Prime, a calm descends on the area, with the ship and body remains floating above one of the most prominent planets in the Empire. As peaceful as it was, though, it certainly wasn’t a location I would want to stay in for any extended length of time… something about it definitely gave me goosebumps even though I was cushioned securely in my pod. It was shocking to me to see that despite the sheer amount of Minmatar wreckage, the Elder fleet was able to keep going. This kind of tonnage lost would make any sensible fleet commander wince, but the fact that the fleet made it to Sarum Prime suggested that the original fleet herself must have been monstrous. At this point in the war, the Amarrians had just been trying to hold the tide. I wondered briefly about what would have happened if Empress Jamyl hadn’t shown up at Sarum Prime. As I banked the Professor back to the gate, I banished the idle mind game: such thoughts were for people more scholarly than I, and besides, there was isk to be earned and more sights to see. Potential Hazards: If you’re below a -2.5 in security status, or -5 standing with the Amarr, you’ll have to deal with some rather unpleasant policemen.